I ride my motorcycle around the mountains here in central Colorado pretty often—at least when there’s no ice on the roads. 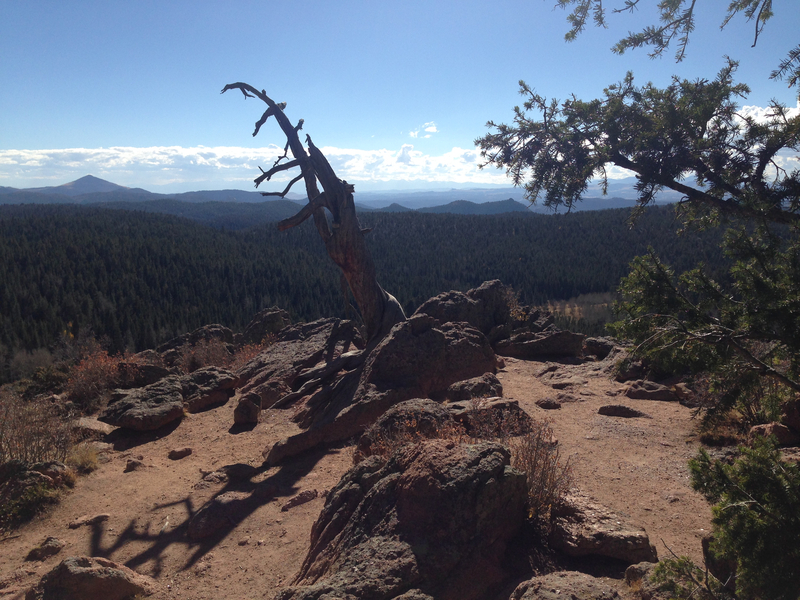 One of the places I go for my regular exercise is Mueller State Park. I like State Parks, they’re as nice as the national parks but often less crowded. I hiked up the short, but steep, path to Grouse point recently (again) before taking a longer trail (Mueller has about 62 miles of trails) and took this photo. It gives you a good perspective of what the Colorado mountains are like. This point is about 10K ft. (maybe a hair less) above sea level.